Shelley arrived in late March 2008. 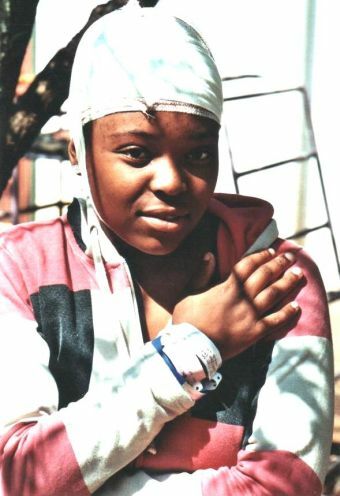 All she wants is a tissue expander so that the other kids at her school stop calling her 'map head'. 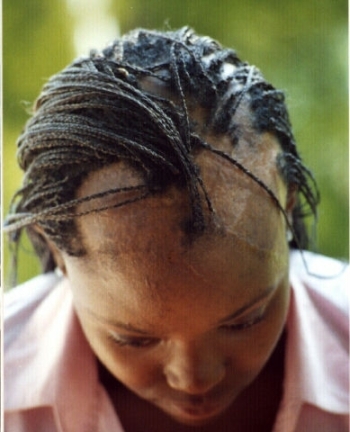 The extensions (false hair additions) help, but all she really wants is a normal head of hair. Shelley loves swimming and is being raised by her father. 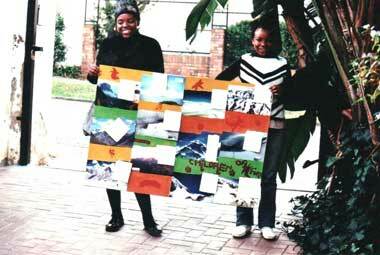 Shirley (19) and Boipelo (15) enjoyed making a large poster about different mountain peaks to climb, in June 2010. 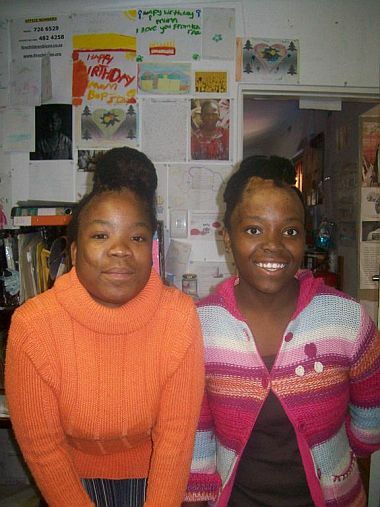 Both teenagers really hope to have the chance to climb Mt Cameroon in January 2011. 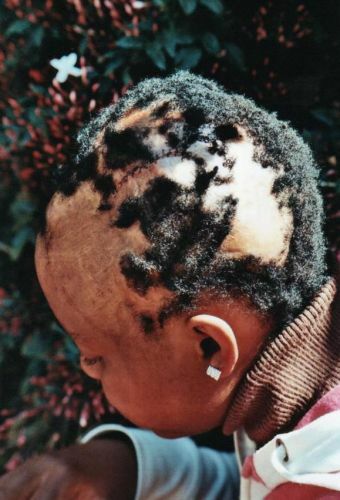 Shirley's tissue expander was removed in June 2010, nine months after it was inserted. The outcome was not as positive as had been hoped. Partly this was due to Shirley's foolish behaviour in not visiting the charity for about three months. 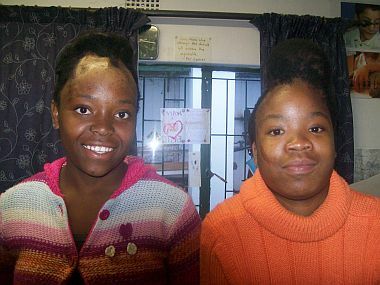 Partly it was due to the lack of record-keeping and follow-up by the Plastic Surgery department at Charlotte Maxeke Hospital. Shirley has come to a crossroads in her life. At best she is a friendly helpful and kind youngster who will happily take care of younger children and help other people with chores. If she would apply herself, despite being old for grade 11, she could do well academically. 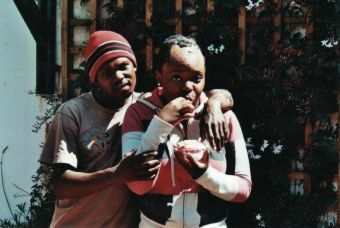 But she craves the fun of a social life and items that her single-parent father cannot afford to buy her. Her future is in her hands. Her father and paternal grandmother have done their best. Children of Fire has supported, counselled, encouraged her.